Wafaa Bilal’s childhood in Iraq was defined by the horrific rule of Saddam Hussein, two wars, a bloody uprising, and time spent interned in chaotic refugee camps in Kuwait and Saudi Arabia. Bilal eventually made it to the U.S. to become a professor and a successful artist, but when his brother was killed at a U.S. checkpoint in 2005, he decided to use his art to confront those in the comfort zone with the realities of life in a conflict zone. Thus the creation and staging of Domestic Tension, an unsettling interactive performance piece: for one month, Bilal lived alone in a prison cell-sized room in the line of fire of a remote-controlled paintball gun and a camera that connected him to internet viewers around the world. This way virtual audience could shoot at him 24 hours a day transforming the virtual experience of acting via screen commands (computer game experience) into something that has a real and very physical effect (real gun shot). This sensational approach to the war is meant to engage people who may not be willing to engage in political dialogue through conventional means. Bilal’s objective is to raise awareness of virtual war and privacy, or lack thereof, in the digital age. Bilal feels the pain of both American and Iraqi families who’ve lost loved ones in the war, but the deaths of Iraqis like his brother are largely invisible to the American public. …and Counting addresses this double standard as Bilal turns his own body – in a 24-hour live performance — into a canvas, his back tattooed with a borderless map of Iraq covered with one dot for each Iraqi and American casualty near the cities where they fell. The 5,000 dead American soldiers are represented by red dots (permanent visible ink), and the 100,000 Iraqi casualties are represented by dots of green UV ink, seemingly invisible unless under black light. During the performance people from all walks of life read off the names of the dead. In the widely marketed video game Quest for Saddam, players fight stereotypical Iraqi foes and try to kill Saddam. Al Qaeda did its own take, creating an online video game using the structure of Quest for Saddam but adding a new "skin" to turn the game into a hunt for Bush: "The Night of Bush Capturing." Now artist Wafaa Bilal has hacked the Al Qaeda version of the game to put his own more nuanced spin on this epic conflict. 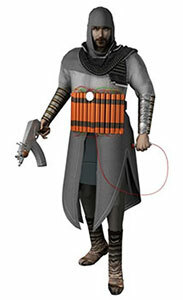 In The Night of Bush Capturing: A Virtual Jihadi, Bilal casts himself as a suicide-bomber in the game. After learning of the real-life death of his brother in the war, he is recruited by Al Qaeda to join the hunt for Bush. This work is meant to bring attention to the vulnerability of Iraqi civilians to the travesties of the current war and racist generalizations and stereotypes as exhibited in games such as Quest for Saddam, along with vulnerability to recruitment by violent groups like Al Qaeda because of the U.S.’s failed strategy in securing Iraq. Iraqi-born artist Wafaa Bilal, an assistant arts professor at New York University’s Tisch School of the Arts, is known internationally for his on-line performative and interactive works provoking dialogue about international politics and internal dynamics. Bilal’s work is constantly informed by the experience of fleeing his homeland and existing simultaneously in two worlds – his home in the “comfort zone” of the U.S. and his consciousness of the “conflict zone” in Iraq. Bilal suffered repression under Saddam Hussein’s regime and fled Iraq in 1991 during the first Gulf War. After two years in refugee camps in Kuwait and Saudi Arabia, he came to the U.S. where he graduated from the University of New Mexico and then obtained an MFA at the School of the Art Institute of Chicago. 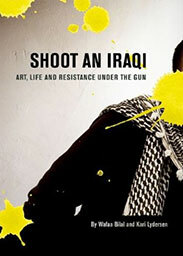 In 2008 City Lights published Shoot an Iraqi: Art, Life and Resistance Under the Gun, about Bilal’s life and the Domestic Tension project. Wafaa Bilal will discuss specific bodies of work including Domestic Tension aka Shoot an Iraqi, Virtual Jihadi and the 3rdi, elaborating on the evolution of his work, reflecting on his personal narrative and experiences living in both the conflict zone of Iraq and the comfort zone of the United States. 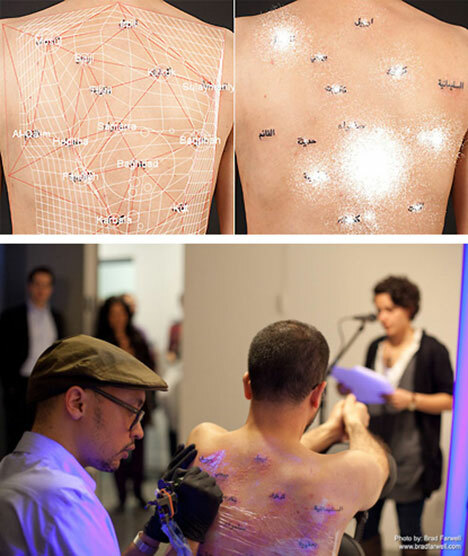 His dynamic, participatory work blends technology and performance to engage viewers in dialogue. The controversial aspects of his work spark deeper conversation, posing questions about political and personal realities. Bilal’s work places him in the role of artist as platform initiator, helping to shift and change distribution channels in media. Wafaa Bilal’s childhood in Iraq was defined by the horrific rule of Saddam Hussein, two wars, a bloody uprising, and time spent interned in chaotic refugee camps in Kuwait and Saudi Arabia. Bilal eventually made it to the United States to become a professor and a successful artist, but when his brother was killed at a checkpoint in Iraq in 2005, he decided to use his art to confront those in the comfort zone with the realities of life in a conflict zone.